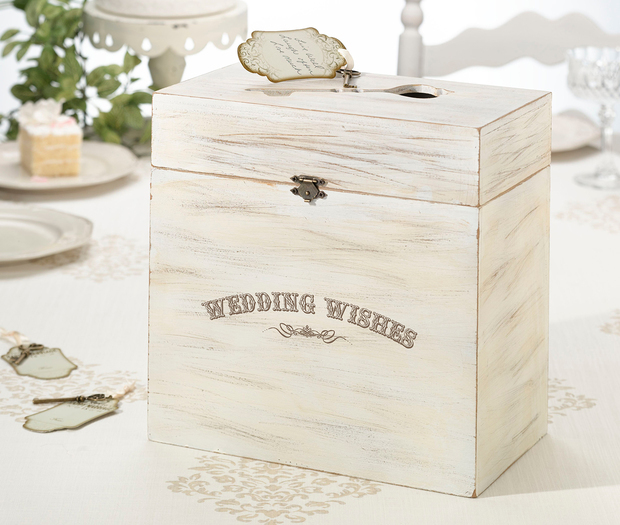 * Family and friends can share their wedding wishes in this attractive key card box for the wedding reception. * It has a metal latch for securing the cover and a unique key shaped opening on the top. * This keepsake will make a lovely decoration in the home. 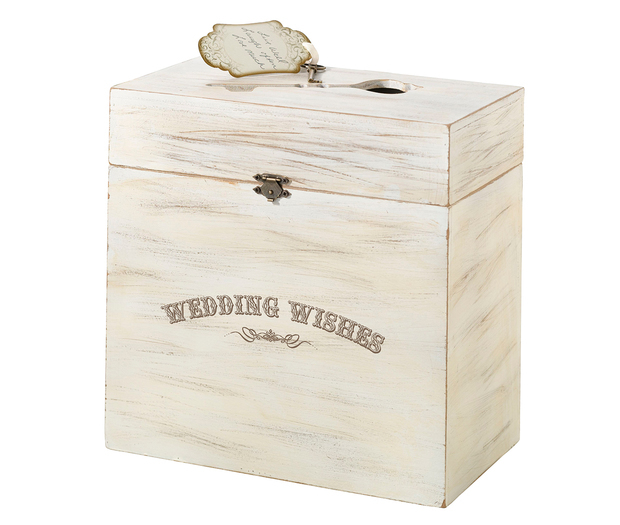 * It measures 10" x 10" x 5.25" and has "Wedding Wishes" on the front. 11.5" x 11.25" x 6.75"
This product is shipped from our warehouse in Mukwonago, WI, USA.